Play these Flash or HTML5 based online slot machine games provided by Merkur at Top Free Slots. No download required to play the games - just click on the image and wait for the game to be loaded in your browser window. You can play all these Merkur Slots for free or try your luck for real money at sponsored online casinos. You can play classic slots or 5 reel video slots with multiple lines of payout, exciting bonus features, and wild and scatter symbols to increase your winning potential. 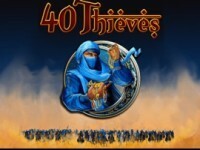 rr The 40 Thieves is an excellently fleshed-out online slot game from Merkur. It has an art which is detailed crisply with astounding sound effects thus making it stand out from other similar slots. In the traditional folktale..
Odin is a new 20 payline online slot machine from Merkur. 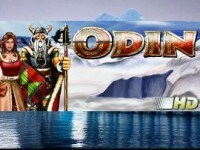 rr Odin is a free online slot game developed by Mercur. 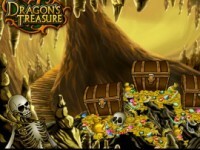 It is free to play; no need to download it nor register in order to enjoy it, sit.. This is a new 20 payline slot machine developed by Merkur. 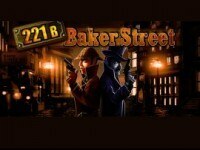 rr 221b Baker Street slot machine game is inspired by the famous fictional detective Sherlock Holmes and his assistant doctor Watson..
Dragons Treasure is a 5 payline slot machine game created by Merkur. rr Even if youÂ play free slotsÂ quite often, this one has a different feel from almost any other. You'll find yourself in the Middle Ages.. This is a new 10 payline online slot machine from Merkur. 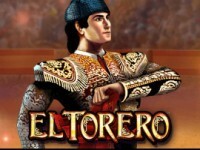 rr This is a co-production of Merkur Gaming andÂ ReelÂ Time Gaming that, as can be guessed from the name, uses the theme of bullfighting..
Fire Of Egypt is a new 25 payline slot machine developed by Merkur. rr Most of the casinos on the market have a diversity of layouts, with most prevalent being 5×3, which makes the setups with 4 reels.. This is a new 5 payline slot machine game created by Merkur. 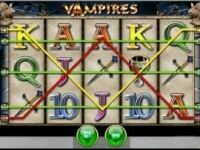 rr Play Vampires slot machine game for freeÂ online at TopFreeSlots. It is developed by Merkur, a German company. 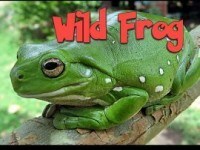 There are a lot of bonus..
Wild Frog is a new 5 payline online slot machine from Merkur. rr Merkur would like to bring you all into the frog pond that they have created for this fun gaming machine. This gamble has five reels and.. This is a new 10 payline slot machine developed by Merkur. 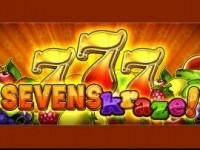 rr Play Sevens Kraze free slot which is the Merkur's new 5 reel, 10 changeable lines fruit video machine. 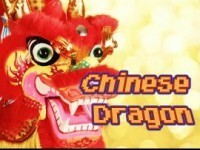 The Sevens Craze slot machine..
Chinese Dragon is a new 10 payline slot machine game created by Merkur. rr Merkur has come back for you toÂ play Chinese Dragon free slot. This gamble has an ancient China theme playing out, and you can expect..
Magic Mirror is a new 10 payline slot machine developed by Merkur. rr Play Magic Mirror slot machine game for freeÂ to head into another reality. It is a fantasy play that offers breathtaking animations and.. This is a new 10 payline slot machine game created by Merkur. rr Online Ghost Slider is a slot machine game developed by Merkur, with five reels set in three rows. Its theme is inspired by ghosts.. 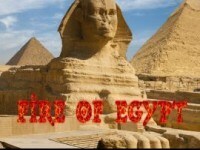 Eye of Horus is a new 10 payline online slot machine from Merkur. rr Manufacturer of the free online Eye of Horus slot machine is the Merkur software company. This modern video game is a 5-reel 3-row.. This is a 5 payline slot machine developed by Merkur. rr Blazing Star slot machine game from the Mercur vendor is a simple old-school slot with 5 reels and 5 paylines. The number of lines is.. Brilliant Sparkle is a 10 payline slot machine game created by Merkur. rr The free online Brilliant Sparkle slot machine is designed by Edict Egaming that is filled with glitz and glamor. This pokie comes with.. This is a 5 payline online slot machine from Merkur. rr The free Double Triple Chance slot game is developed by SunMaker, and is consisted of 3 reels and 3 rows. Its is a traditional fruit.. Extra Wild is a new 10 payline slot machine developed by Merkur. rr Out of many games developed by Merkur, it is one of the most interesting gambles to play. It works very similarly to its sidekick.. This is a new 5 payline slot machine game created by Merkur. rr The Fruitinator is a classic fruit game that is found online thanks to the developer – the Merkur gaming company. It consists of 5..
Gold Cup is a new 5 payline online slot machine from Merkur. rr For every football and slot machine crazy out there, Merkur Gaming has developed a gamble which will provide the pure satisfaction of.. This is a new 5 payline slot machine developed by Merkur. rr One of the many games by Merkur, Super 7 Reels slot machine stands out from the crowd due to its vintage design and interface. The..
Super Seven is a 1 payline slot machine game created by Merkur. rr B3W is probably not the most famous game developer for online gambling world but is far from the unknown in the real one. However, they..